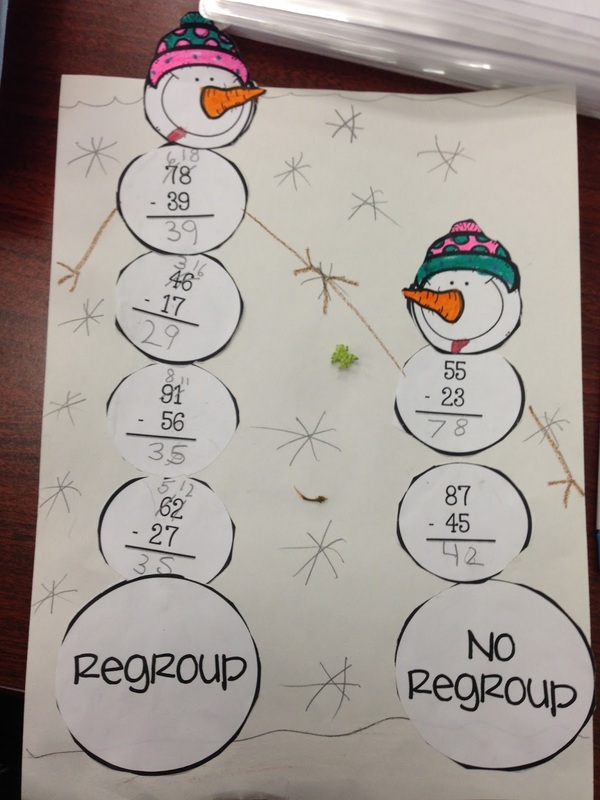 Winter seasonal learning activities are my favorite. I love to do arts and crafts projects that tie in the curriculum that we are learning with a wintery mix of "craftivities." 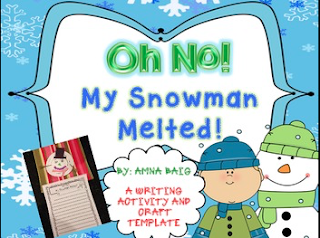 One of my favorites is doing a creative writing assignment titled, "Oh No! 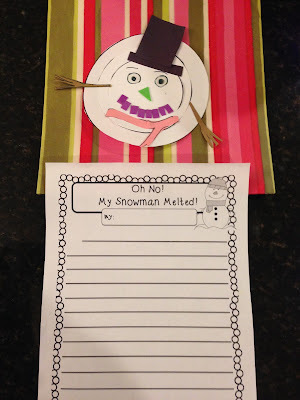 My Snowman Melted!" 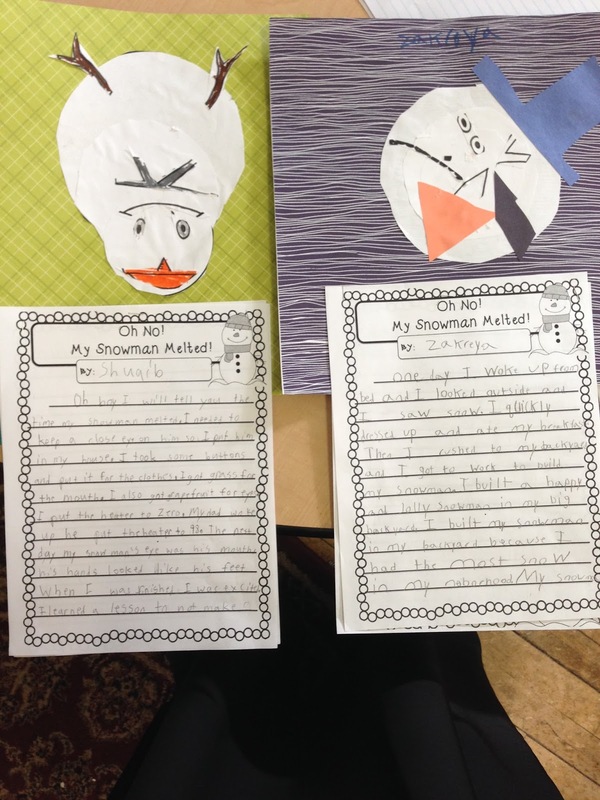 Students use a graphic organizer to jot down ideas of how they built their snowman, what they used, where they built it, and how it melted. Then they do their final copies to attach to a melting snowman craft. This is a fan favorite every year for sure! You can see more of it HERE. 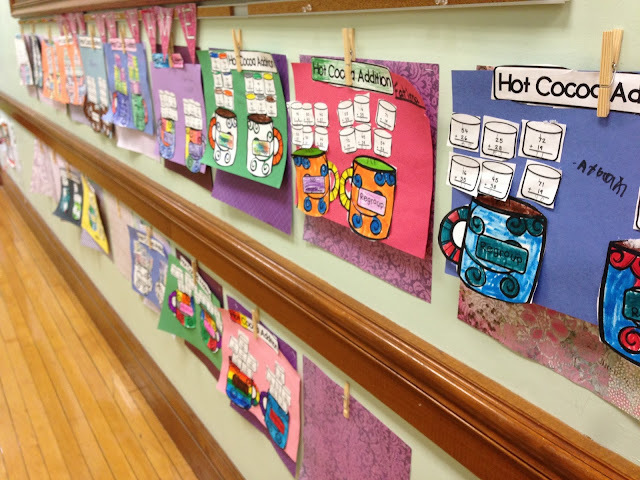 Continuing on with writing - teaching paragraph writing can be sort of tough ya know! 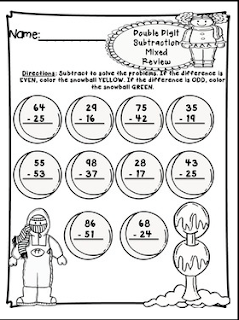 But sometimes if the topic is "fun," enough, the whole "formatting," business can be snuck in there. Kind of like hiding veggies in some kid dish! :) The winter edition of Power Paragraphs has just that. 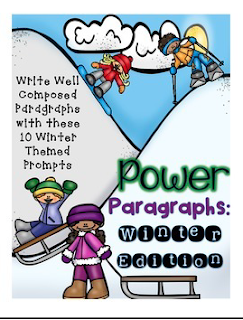 Included in this Power Paragraph winter themed set are 10 paragraph prompts. 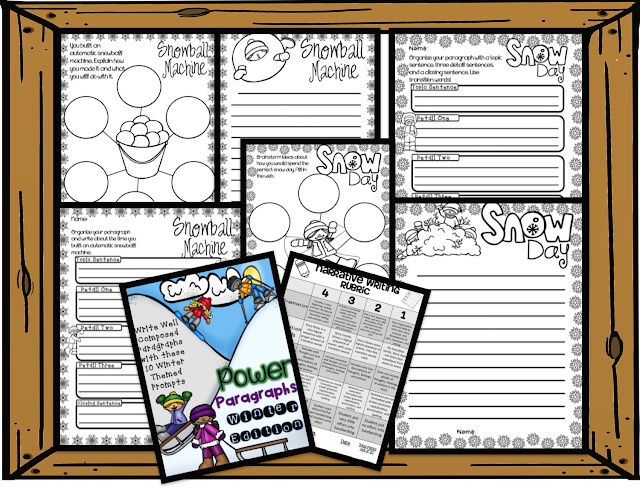 Each prompt comes with a graphic organizer to brainstorm ideas. 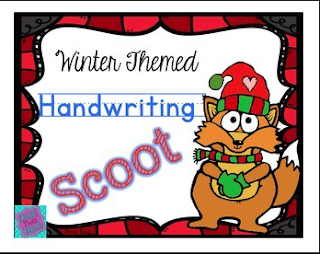 A rough draft page is provided where students outline their properly formatted paragraph with a topic sentence, three reasons/details/facts/opinions/steps, and a closing sentence. Students use that information to create a final copy on the final copy template. It’s Snowing in My House! 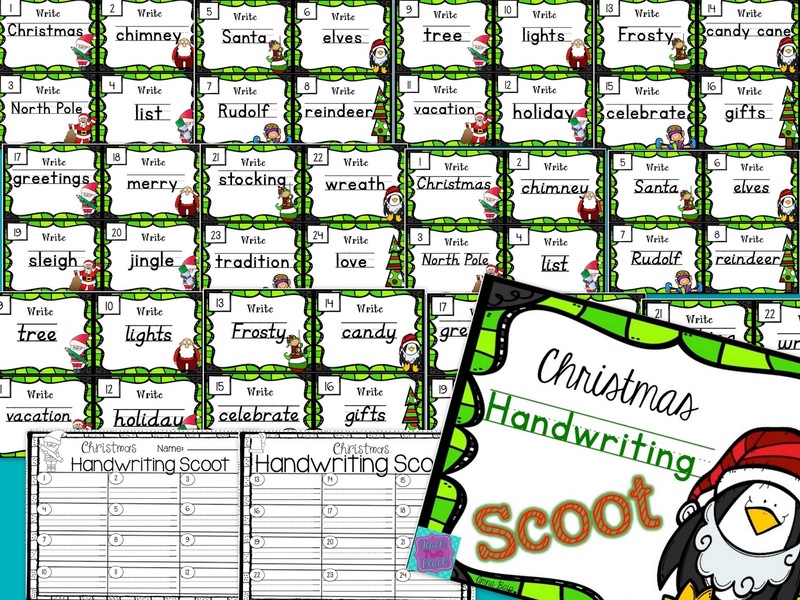 Sooooo handwriting?? That's something that often gets left in the back burner. But how about making a game out of it? 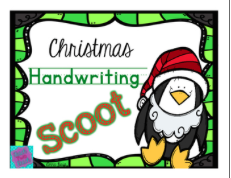 Kids love Handwriting Scoot. 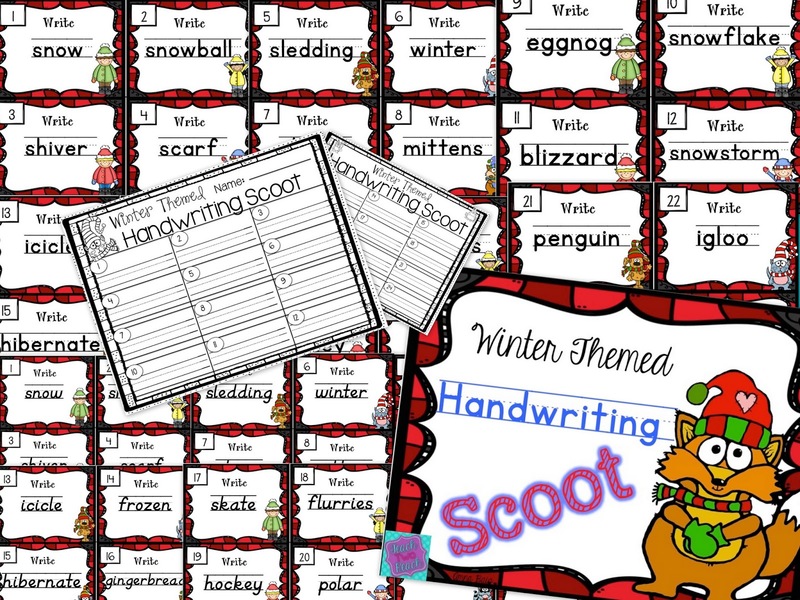 It's the Scoot style game format but with seasonally themed words to practice writing. Check out the winter edition or the Christmas edition! 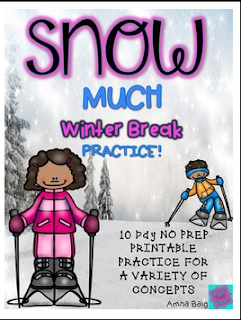 Winter vacation is coming up SOON! Do you need to send home homework? 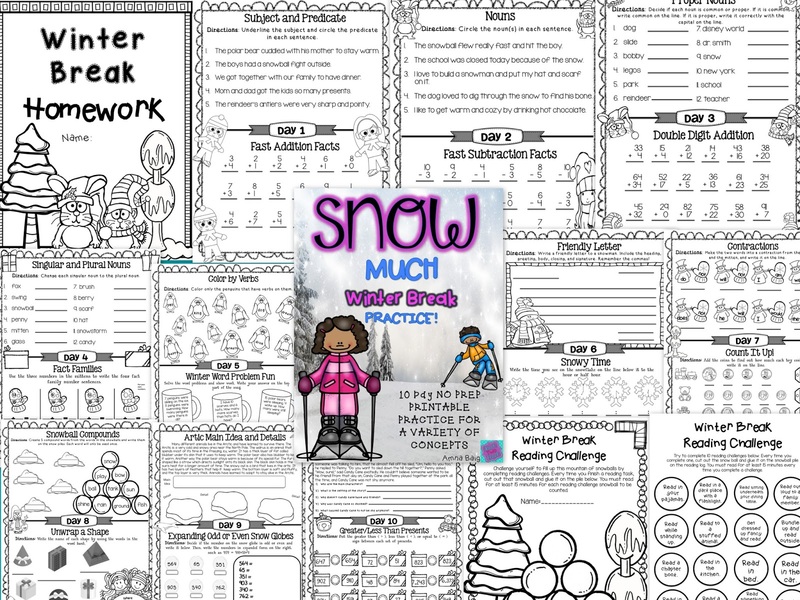 I've sent this no prep 10 day homework packet and reading log home the last two years and it is always a hit with kids and parents. 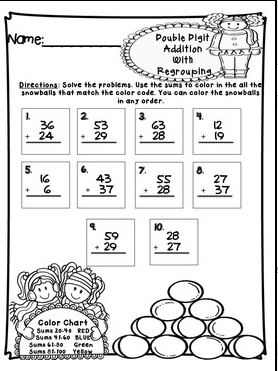 I love that I don't have to do anything and everything is self explanatory - good enough for kids to do on their own. Plus, the reading log is interactive and fun - asking kids to read in fun places or read different types of material, then cut out a "snowball," and glue that reading snowball on a snow pile. 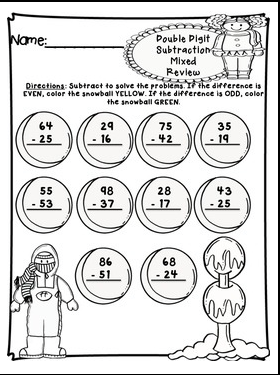 During this season, I am normally on my addition and subtraction with double digits unit. 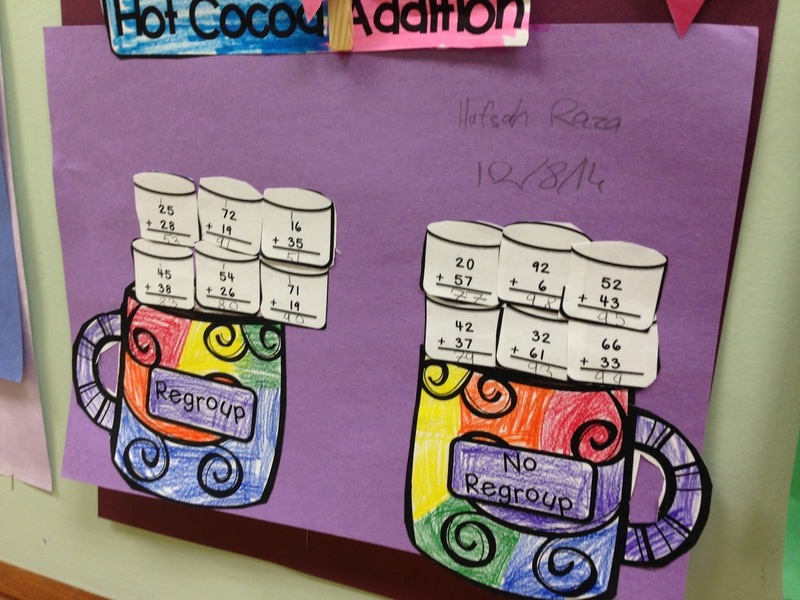 The class always needs a review with these concepts - especially after the winter break. 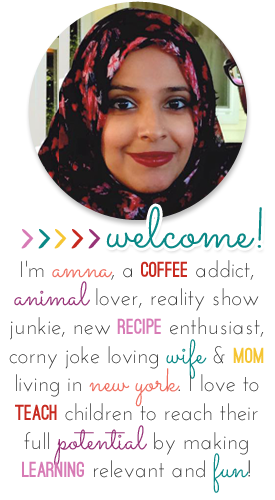 So these printables are perfect and fun! Thank you so much for sharing your hard work. 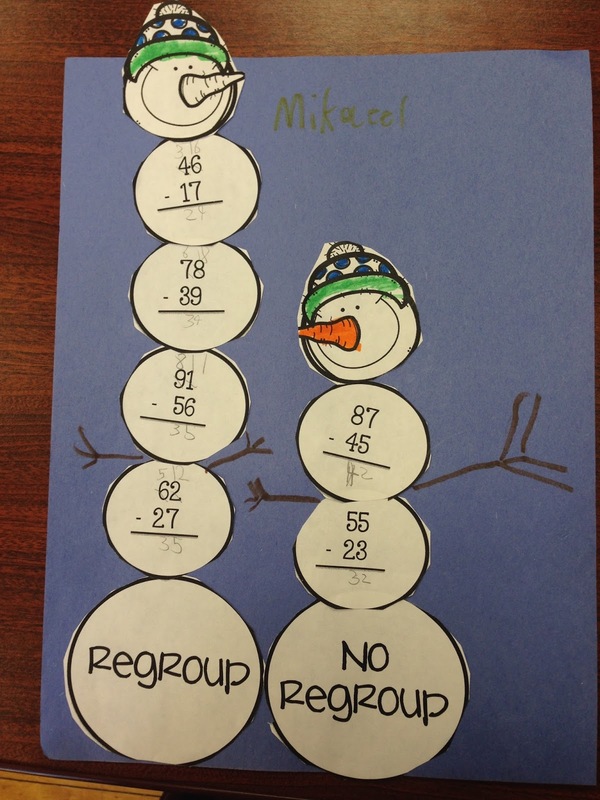 It's so very creative! We are using it next week!! !